Don't think people think being a VFL BY ITSELF makes them a great coach. But if you have two coaches of relatively equal ability then the VFL may give you a little more effort because he's...well a VFL. Wow nice, looks like an upgrade. Rumph would not be a huge loss. Fair is a VFL and seems to be developing himself and his players. Well, I swung and missed! I feel such shame. That's what happens when you start talking about chit you know nothing about. Lulz, I'm just kidding. Good lowered where we'd be if I was running things. Lol. I just get this feeling that both DJ and Rumph will be elsewhere next year and somehow, someway we get Jay on this staff. After the Chaney hire, Swain tweeted that there was another BIG hire coming...Ansley qualifies. When asked by his listeners, he denied that it was Graham. Could be outside his scope of knowledge tho. The Ansley hire also reaffirms Fulmer's commitment of resources to make football success the priority. It must be said basketball has been elevated as well. After ten years of neglect and tightfisted budgeting for assistant coaches, Fulmer has stepped up big time. He remembers needing his homerun hire and being forced to bunt with Clawsen. The statement on Terry Fair said,in one column,that hewas relieved of duties.This sounded as if it could be something else along with not fitting exactly what Coach Pruitt wanted as a coach.Any idea if that was just "wording"or some other reason also? Former Vol or not, you've got a job to do and your boss has expectations. Meet them and you're solid. Fail to produce and he'll find someone else who will. Huge class coming up. Need to fill this slot and perhaps Rumph with 2 more elite recruiters. VFL isn't some get out of jail free card like so many people seem to think.. Didn't we just get a pretty good DB haul? 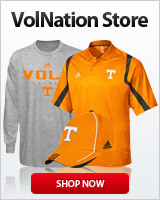 I know Fair was a VFL, but his hiring didn't seem right. He had no connection to CP and a pretty lackluster resume. This is ultimately a good move for the program. Produce to a standard or move on. If Phil is behind this I'm impressed but I suspect its all Pruitt. Phil didn't cut dead wood when we was HC until is was way overdue so I really doubt he's pushing it. Yea, I was never inspired by the hire either. I thought maybe for a Grad assistant, but not a position coach with no coaching experience. He was the DBs coach at Colorado State. He had already been a QC at UT before that. What year you in? Doesn’t mean Fair was responsible for bringing them in. Not sure about Tony, don’t listen to him. But I do listen to Swain a lot, and it’s clear that he has a solid sources(s) within the AD....he has many, many times hinted ahead of time about recruits and coaching hires that came to fruition in short order. And when he doesn’t know, he says he doesn’t know. 2 lb coaches makes sense in this system because inside and outside are so different. A blind squirrel finds a nut every now and then. Looks like now and then is now and now... er....... whatever. 2 LB coaches is not at all rare in a 3-4 team 2 Db coaches is not unheard of but 2lb and 2 db coaches on same staff I dont think ive ever heard of that.